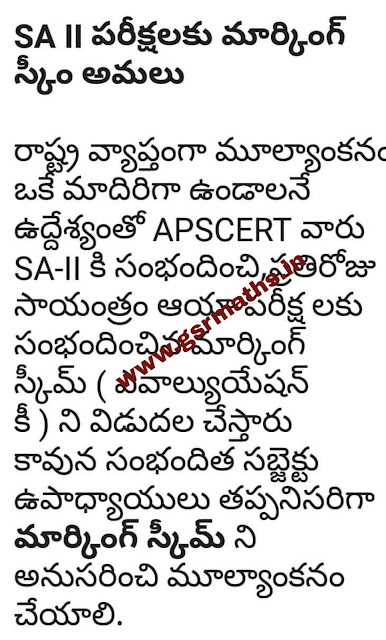 Sub: SCERT A. P,, Amaravathi -Marketing Schools for SA-II-Reg. 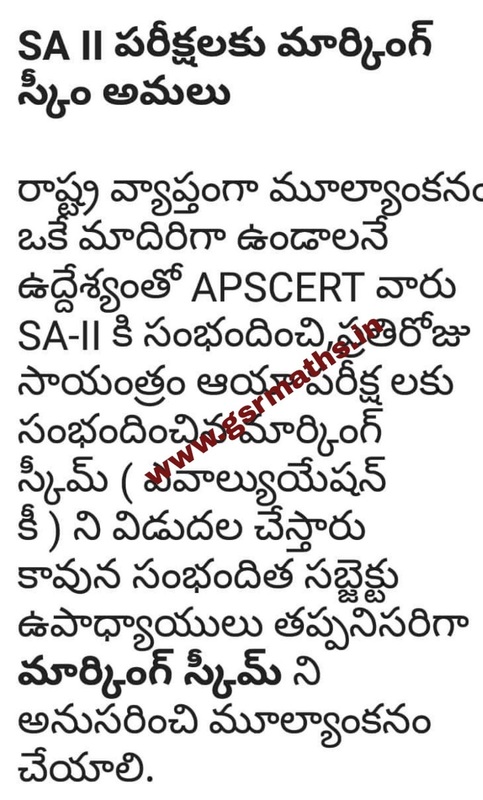 Ref:Minutes of meeting chaired by commissioner of Schools Education on Activities of Assessment Cell, dt: 02.04.2019. All District Educational Officers are requested to note that is sb attempt to strengthen the Assessments framework in the state, the Department of School Education has envisaged certain reforms in Summation Assessments evaluation. a. A Marketing Scheme shall ensure that students are assessed fairly and uniformly across the state. b. Furthermore, uniformity in evaluation will allow the Department of School Education to compare and assess the performance across districts better, and aid in policy making. In view of the advantages mentioned above, the state council of Education Research and Training will release the Marking Scheme of SA-II (2018-19) to all District Educational Office at 5pm on Tuesday of the conduct of the examinations.